We love landscape design and offer a full array of services for both residential and commercial clients. For many these days, “sustainability” is simply a buzzword, for Ginger Tree Innovations, this is a way of life that feeds our entire design process. GTI has a collective 20+ years in landscape architecture/design and planning. We are well versed in sustainable and beautiful designs for commercial projects, parks and open spaces, as well as residential properties. All of our design work has one theme in mind: sustainability to maintain stewardship of the land. 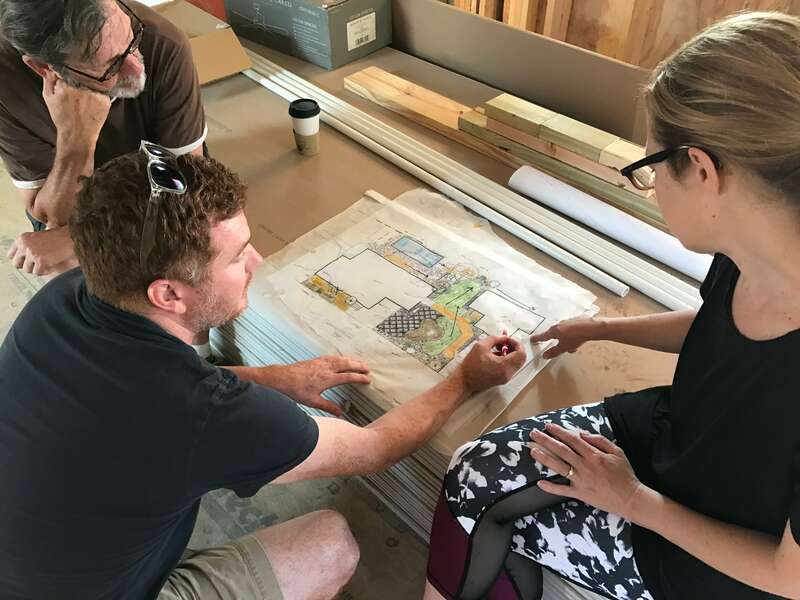 We will come to your planning site and walk through the land to go over collective landscape design goals and ideas to create a preliminary plan of “wants” and “must haves” that will fit into your budget. This is an opportunity to throw all ideas out on the table and formulate a realistic plan of possibilities. We will take our consultation notes and put together a visual overview of the landscape design plan to see our collective ideas come to life with a budget range estimate. This step is to give a bird’s eye view of what our collective ideas have produced to add upon and take away to come to a better idea of the end goal. The conceptual landscape design plans are a very granular plan drawn out to include a fully drawn landscape design complete with suggested plant types, materials needed, labor estimates, as well as an accurate budget range. The end product is a document that you can take to ANY landscape contracting firm to be used for construction of the design. Now that we have a concept and full landscape design plan in place, it’s time to get our hands dirty…..and we love this part. We take all of the planning that we have put on paper into a beautiful, living, and sustainable natural landscape that you, GTI, and our Earth will be proud of for years to come. We would love to hear about your landscape design project and explore how we could help. All Content Copyright © 2017 Ginger Tree Innovations.